My mother when she was 20. “People do not wish to learn about how to deal with death until they are confronted by death, and when they are confronted with death they are not inclined to study how religion approaches it,” writes Maurice Lamm in The Jewish Way in Death and Mourning. 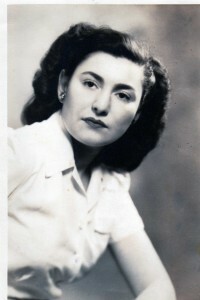 My mother, Miriam Pell Schmerler, died this morning September 6, 2010 at about 3 AM. She died after a lengthy stay at the Blumenthal Jewish Nursing Home and Rehab Center where the chart says she suffered from Alzheimer’s disease and dementia. 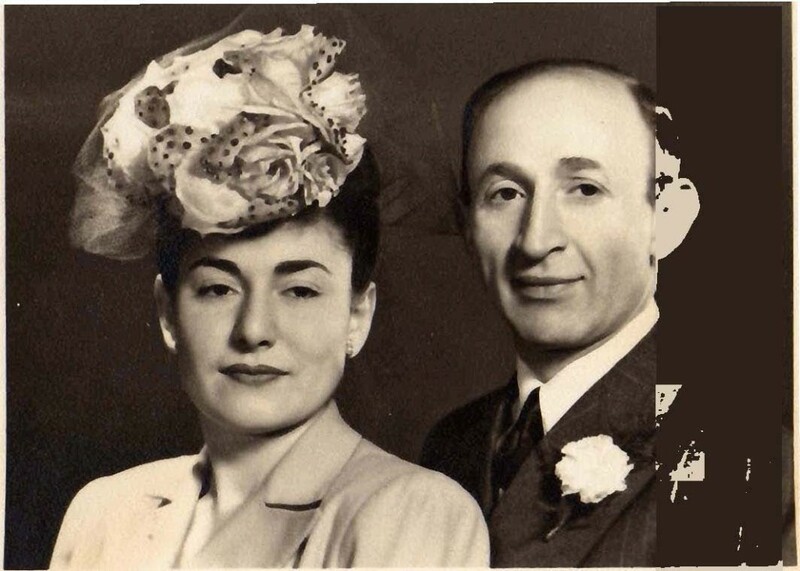 In 1992, at the age of 67, Mother received her doctorate in Hebrew letters from the Jewish Theological Seminary. Her thesis Graced Moments in Time: Undoing of Anti-Semitism as a Theologoumenon Within Post Vatican II Catholicism. Her thesis focused on Pope John XXIII’s efforts to rid the Roman Catholic Church of its poisonous teaching that the Jews killed Jesus, and the thesis describes how the Pope enlisted the help of Rabbi Abraham Heschel, a theologian who at the time had taught at the Jewish Theological Seminary, the center of the Conservative Jewish movement, with the title Professor of Theology and Mysticism. (He also smoked cigars.) Heschel is best known for his friendship with the Rev. Martin Luther King, Jr. and for his opposition to the War in Vietnam. Mother’s academic writing on ecumenicism began with her master’s degree from Barry University in Florida where her thesis concerned the daily life of Jesus and the ways in which he followed Jewish teachings. 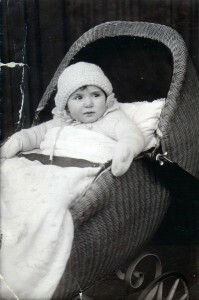 At Greensboro North Carolina, Mother served as an ambassador to Temple Beth David’s Rabbi Eliezer Havivi speaking at churches on protestant ecumenical statements revising doctrine on who killed Jesus, showing church leaders and congregants how Jesus celebrated Jewish holidays, and becoming a lifelong member of Greensboro’s interfaith council. Mother’s love for the Hebrew language and her knowledge of it was employed on a regular basis as she attended Beth David’s services and corrected the Hebrew of celebrants, leading, indeed, to the current culture of her synagogue where the quality of Hebrew is excellent. Mother spent a summer at State College PA working on the Jewish Publication Society’s landmark translation of the Bible into English. Mother is also survived by my sister Sarah Schmerler, who is an artist in her own right, a widely published art critic, and an instructor to artists on how to use language to describe their work, especially in grant proposals, Sarah is the mother of one of Miriam Schmerler’s three grandchildren, Asher Simonson, age 8 who is crazy about Legos products with a Star Wars theme. The other two are my children Joanna Marie Solkoff, 25, an EMT who is about to begin nursing school at Chapel Hill after receiving an honor’s BA in English, where she wrote about obscure novels by the guy who wrote Robinson Crusoe. Amelia Altalena Solkoff, 20, is currently spending her junior year abroad in Spain and we recited the Jewish mourner’s prayer over a Skype connection earlier today. Both Mother’s granddaughters smoke cigars. I plan to sit shiva, a Jewish custom of mourning during which I will say prayers in Hebrew and Aramaic and receive visits from my friends. The Jewish community at Congregation Brit Shalom, under the direction of Rabbi David Ostrich, a wonderful rabbi, will take good care of me. I will continue to cry as I think about my mother and mourn her death. The following was published in June of 2010 shortly before my mother died. It appeared in my monthly column From Where I Sit, produced on a monthly basis for Voices of Central Pennsylvania, my spiritual home here in State College, PA. The column appeared regularly for over a year, written sometimes between hospitalizations but submitted on time and limited, believe it or not, to 750 words. Sometimes, I used the Voices Web Site to expand on material contained in the monthly printed column. My appreciation to the brilliant Suzan Erem, then Managing Editor of Voices, and to Bill Eichman, the gifted Webmaster and current President of Voices, is considerable. The issue of travel barriers for people like me who cannot walk and require battery-powered scooters and power chairs is considerable. It is worthy of note that the State College airport refuses to allow disabled individuals to board who are confined to power chairs. “Are you really my son?” my 84-year-old mother, who suffers from dementia, asks. 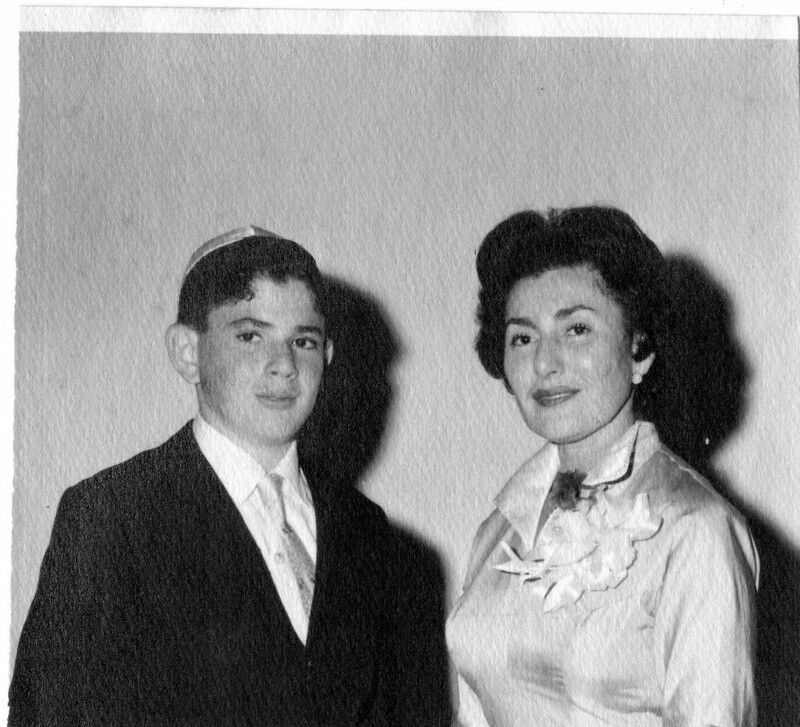 Six weeks ago my mother, Dr. Miriam Pell Schmerler, stopped answering the telephone by herself. Our weekly calls were models of the bizarre, with my combining Hebrew and English into the conversation, knowing that hearing my name in Hebrew sparked recognition not otherwise available. The once a week calls followed a pattern. I would tell her that I was her son. “Really?” she said, “how nice.” Then we would talk about some aspect of her life: her career including a doctorate in Hebrew letters (received in her late 50s) from the Jewish Theological Seminary. In our calls I repeatedly identified everyone, Mother’s daughter, grandchildren, and husbands. “You know you were married three times.” “Three times,” she said “that’s a lot, isn’t it?” I then described each of her husbands, including my father who was 27 years older than she. “Isn’t that a big difference in age?” she asked. The ongoing saga of her life amused her. It filled me with a tenderness for my mother I do not recall ever having felt. I remember Gerald Sakamoto, my Buddhist minister from the San Jose CA Buddhist Betsuin, saying he had “issues” with his mother. Now that she did not recognize me, other than as a friendly caller telling stories about her life, my mother became a real person for me. My children, Joanna and Amelia, found distress in Mother’s inability to recognize her grandchildren. While I tried to explain my perspective, I could not alleviate their distress. Nor could I alleviate my own distress in mid-March when I called Mother and she did not answer the phone. 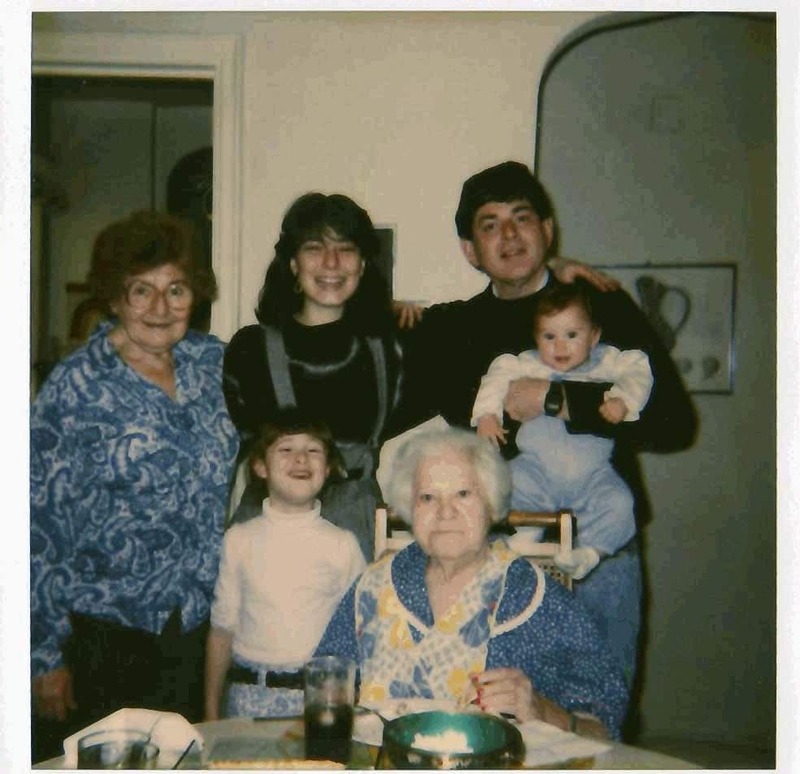 I began a new routine, calling the staff at the excellent Blumenthal Jewish Home for the Aged in Greensboro, NC and asking Jackie, Brooke, Marina, Mary Anne or Kim to go to mother’s room and hand the ringing phone to Miriam. My mother’s voice conveyed a sense of confusion and distress. The conversation was largely gibberish. It became clear that I had to see her. But how? The answer is circuitous. My 1993 Buick was broken. I entrusted it to Gary D. Green’s College Heights Exxon, a wonderfully reliable institution. My mechanic Jeff told me he needed more time to figure out what was wrong. Nevertheless, I needed to go to Altoona, headquarters of the Blair/Clearfield Association for the Blind and Visually Impaired, for which I work. I researched bus service to Altoona which would take me downtown (and my power chair has enough battery power to take me to and from the office), but I could not get to a safe accessible motel where I planned to stay the week. There is no train. 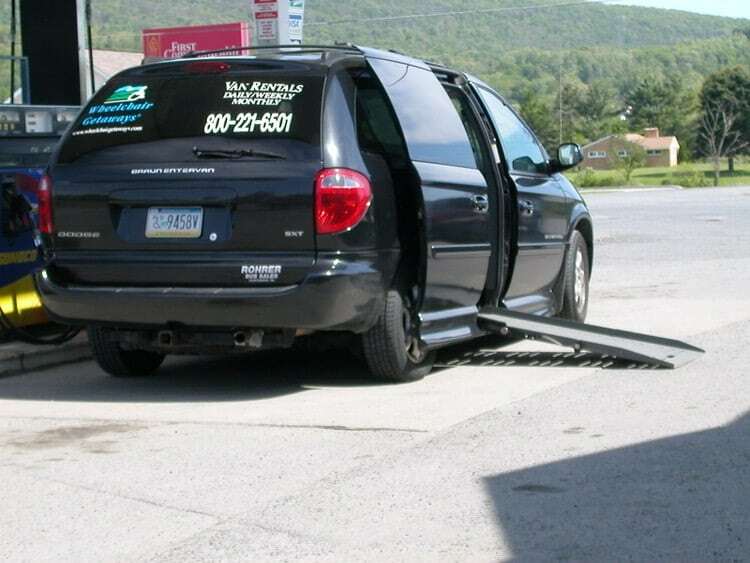 I had heard about a disability van service called Wheelchair Getaways. After talking to Shannon Markley, I decided to pay for the incredibly expensive rental, knowing my creditors would and would not understand. When Shannon mentioned a slight discount for a week or more, I decided to spend the weekend seeing my mother—something I could not do otherwise. 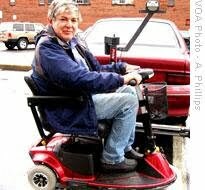 For a lengthy drive, neither my Buick nor my stamina could be relied upon to hold up while going from the wheelchair lift at the rear of the car to the driver’s door, brushing my body against the car in the process. The van has a button on the ignition key, which when pressed twice, opens the passenger-side panel door and a wheel chair ramp unfolds. I drive my power chair (the airlines at the State College airport refuse to accept power chairs on their flights) up the ramp. After closing the door with two key presses, I use the controls for the driver’s seat to move the seat back, sideways and up, so I can transition from power chair to driver’s seat without difficulty. Without the van, I would not have been able to go to work, see my mother and have lunch with my two children. This month’s column raises an ongoing theme: the critical nature of travel for those of us with disabilities. Employment opportunities require going to where the work is located. Families separated by miles need to be together even if only on occasion. The worst thing for the economic survival and the individual feeling of self-worth is being confined to one’s room without the opportunity to earn an income and see loved ones. Travel must be made easier for those of us with disabilities.